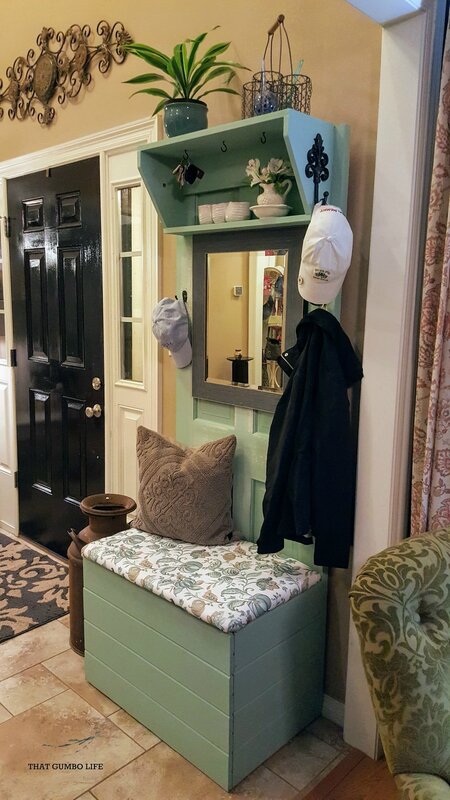 Door Hall Tree DIY — Monnie like Bonnie but with an M.
This started with a solid wood door I bought for $5. I put a shelf on it and built a storage box on the bottom. Then I put a cushioned lid on the top of the storage box, painted it, added some hooks and a mirror. Now? It's one of my favorite things.